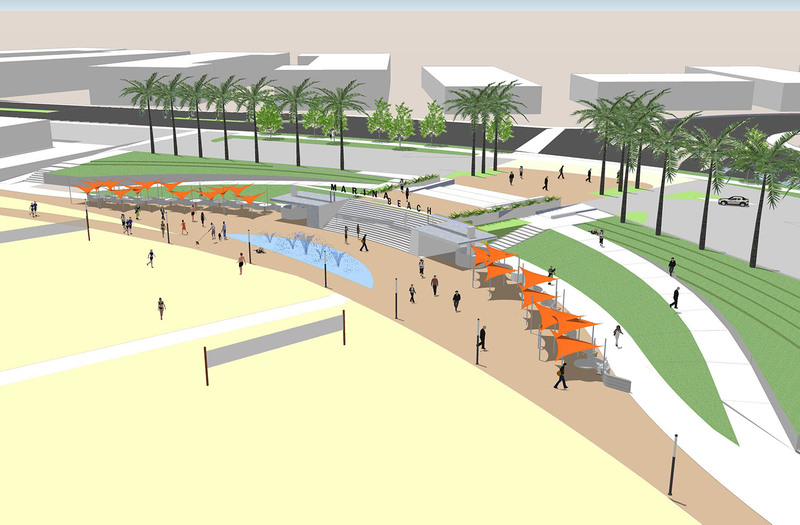 Formerly known as Mother’s Beach, the Marina Beach Concept Plan brings previous and new ideas for the area into a unified plan that simultaneously addresses community concerns such as land use and development guidelines, and proposes design concepts for new public gathering space and a promenade, to induce much needed vitality to Marina Beach’s public realm. 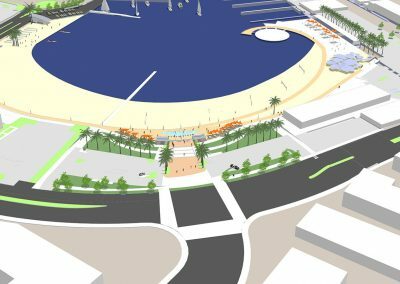 Achieving optimum land/water integration, the plan creates opportunities for passive and active recreation as well as enjoyment of the marine environment from the land while enriching the man-made scenery with special architectural features, landscaping and lighting to be appreciated from approaching boats. 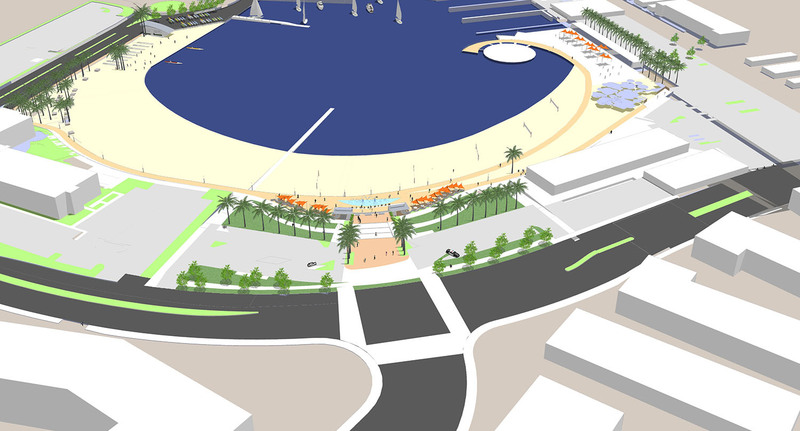 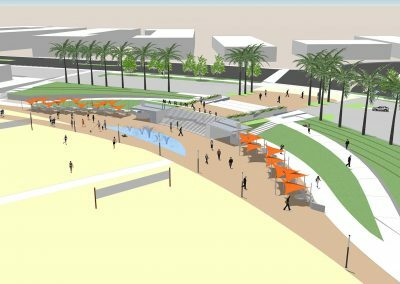 The Vision for Marina Beach is to create a “sweeping circle”, a signature image that will define the beach promenade, incorporate viewing decks, picnic areas, sustainable features, landscaping, special lighting and water features, and link existing and new recreational public gathering spaces served by adjacent public parking.